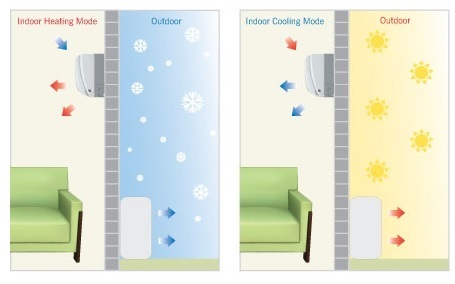 How do heat pumps keep your home warm on a cold night and cool in the hot summer? 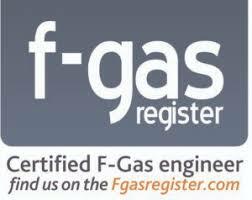 Heat pumps move heat from one place to another using high and low pressure refrigerants, known locally as the “Gas”. If you go to your kitchen and put your hand near the back of your fridge, you’ll feel heat rising off it. Believe it or not, that heat is coming out of the inside of your fridge using heat transfer through the “Gas”. When you set your heat pump to air conditioning mode, it’s pretty much the same technology at work. 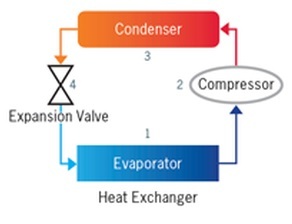 When you want a warmer home, heat pumps simply reverse the process of the vapour compression cycle. 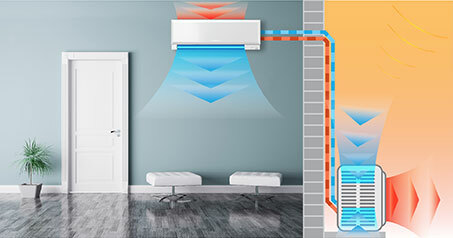 Here’s how heat pumps work. 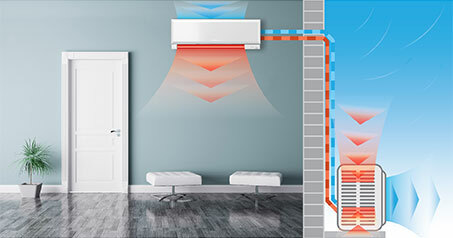 Your indoor heat pump unit is connected to an outdoor unit, and inside each unit is a large coil of metal. 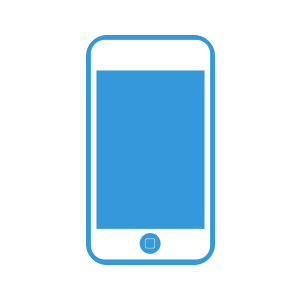 In the summer the internal unit transfers heat via the gas to the fan coil of the outside unit, this is where the heat is disposed of. Even though it feels cold outside, there is still heat in the air. As winter comes the temperature drops, your heat pump has to work harder to absorb and transfer the same amount of heat to keep your home warm. Because of this, some older models of heat pumps will stop working when the temperature drops too low. Newer Inverter heat pumps will keep effectively heating your home with no drop in performance, even when temperatures reach -15 degrees Celcius! Now that’s cold! 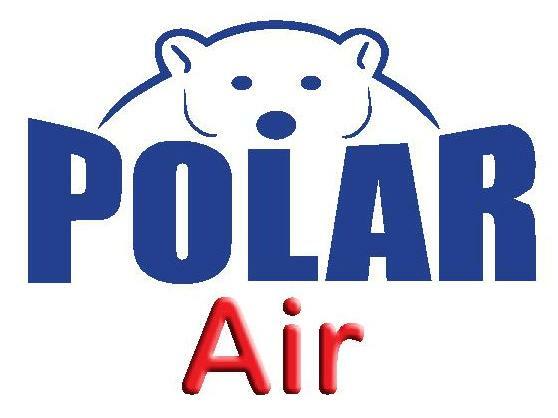 AIR CONDITIONING HOT & COLD, HOW?